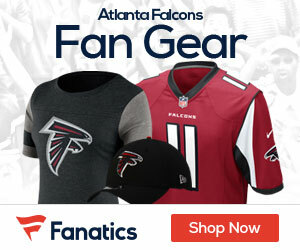 The Falcons are 1-and-5 on the season after a 31-10 loss to the New York Giants at the Georgia Dome last night. The Falcons have only scored one offensive touchdown in 10 quarters and have five losses in six games while the rest of the NFC South got wins this past weekend. The Giants, led by surging quarterback Eli Manning, are 4-and-2 after winning their fourth straight game. The lone bright spot for the Falcons Monday night was a 67-yard touchdown run by tailback Jerious Norwood in the first quarter. The Falcons travel to New Orleans to take on the Saints this Sunday at 1 p.m.